Stock product - detailed vector illustration - 2D Vintage Collection - Wedding Placeholder 01 - created by Aurielaki. Image formats EPS AI JPG. 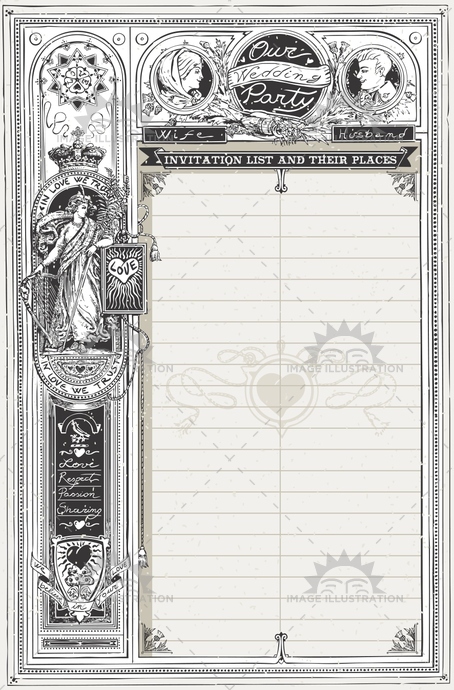 SKU: Wedding-Placeholder-01-Vintage-2D-AurielAki. Category: Wedding Invitation. Tags: announcement, background, banner, book, border, calligraphy, celebration, certificate, classic, collection, decoration, drawing, engraving, floral, frame, greeting, invitate, invitation, label, love, marriage, menu, old, paper, party, retro, ribbon, vintage, wedding.